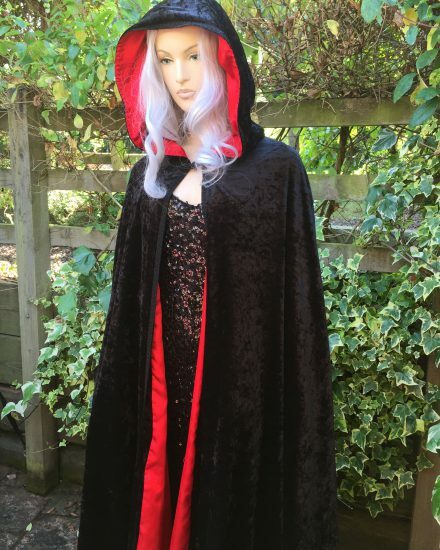 A high quality long Black & Red Hooded Cloak. 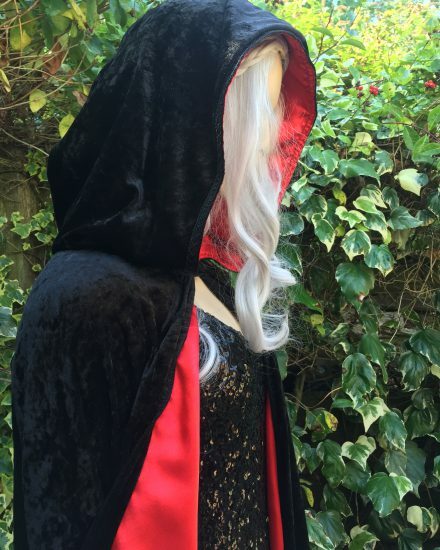 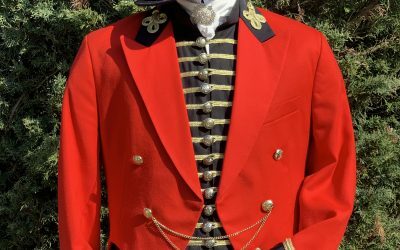 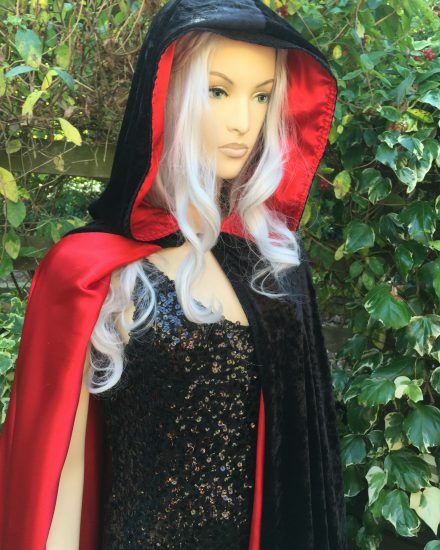 The cloak is made in a beautiful back velour with full red satin lining with cowl shape hood. 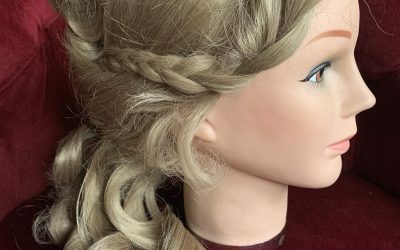 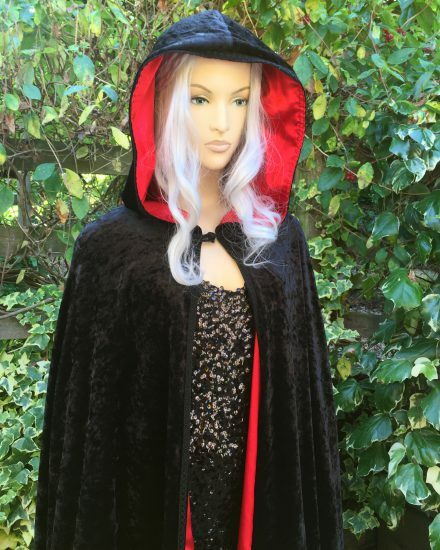 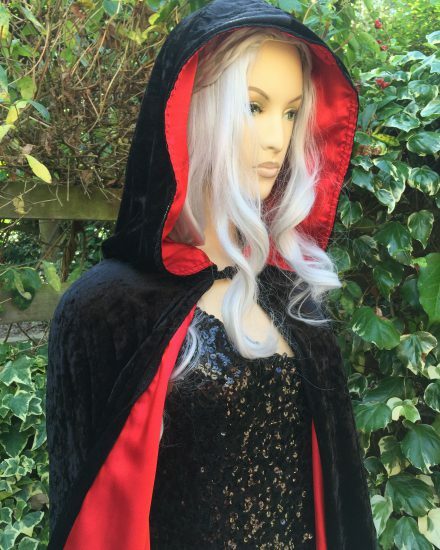 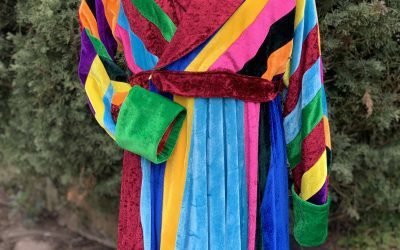 Perfect cloak for Female Vampire at Halloween, Medieval cloak & stage productions. 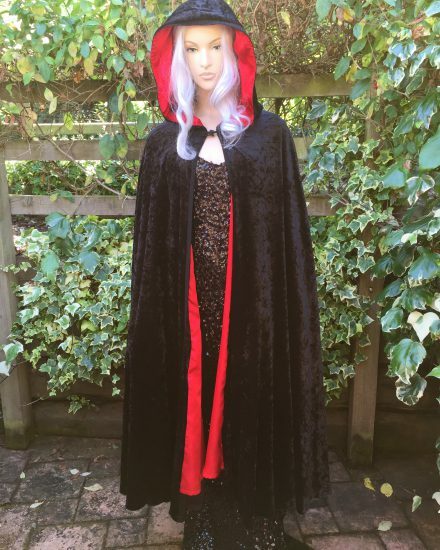 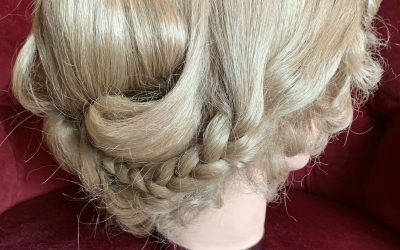 May be hired on own or as part of a full costume.